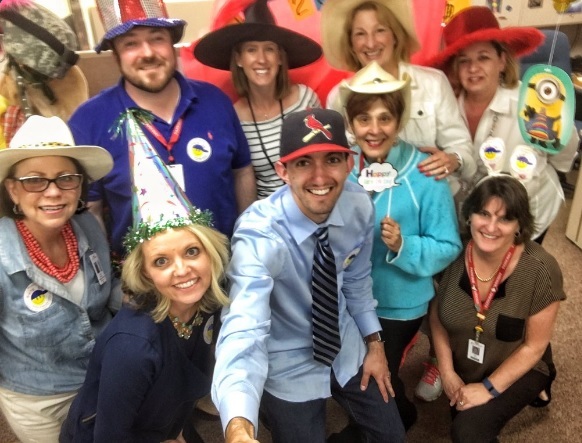 Hats On Day is more than a fundraiser: it is a symbol of the fight and the struggle of all kids who battle cancer and its devastating effects. It is an enlightening experience for students who do not understand why one of their classmates lost their hair or misses extended periods of school. It is a rallying cry for the community to show support for these brave kids fighting for their lives while living them every day. 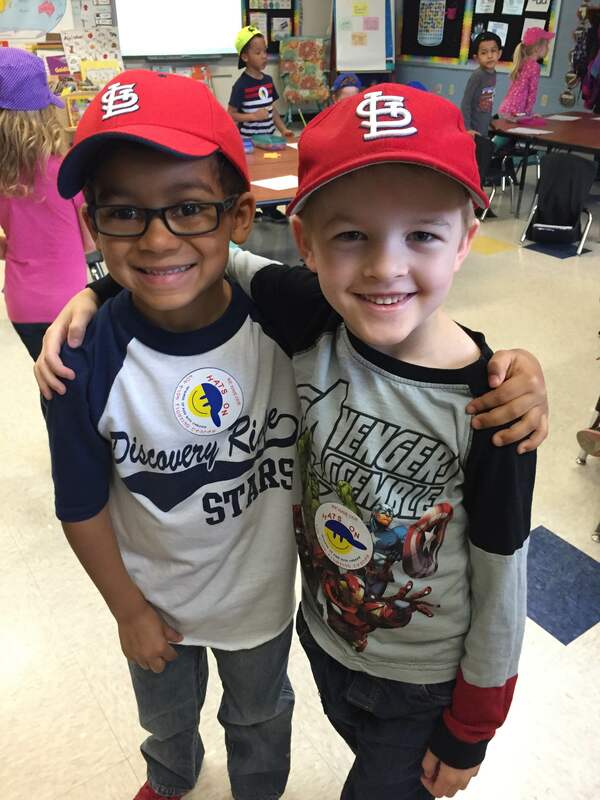 Schools, businesses, and churches can participate by paying a dollar to wear a hat and receive a sticker. We provide everything you need: Hats On Day stickers, a guide with fun ideas and posters to put up around your school or business, and informational brochures. Just pick a date, collect the money that day, and have fun! Hats On Day was founded in 1995 by four sixth-graders at Henry School in St. Louis. They began the fundraiser when their friend and classmate, Kevin Beffa, was diagnosed with a type of childhood cancer called Non-Hodgkin's Lymphoma. Kevin had been a bright, happy child with a passion for soccer. When he got sick, he had to miss school and lost all his hair from the treatments. Also in need of a bone marrow transplant, Hats On Day was planned to support Kevin during his battle with cancer. However, just days before the event, Kevin passed away. Friends has continued Hats On Day in Kevin's memory with the aim of creating awareness about children undergoing chemotherapy and related issues like hair loss, illness and missing school. From 1995 till the present, the fundraiser has grown from just a few participating schools to include most of the St. Louis Metro area, as well as businesses and places of worship all over Missouri and Illinois. When you participate in Hats On Day, you will create countless smiles on the faces of children with cancer as they tackle the many obstacles and difficulties that cancer places in front of them. Click here to print off a form to sign up! Or sign up online below! School/Company Address Street Apt, floor, suite, etc. Dave Fanning, Image Label Corporation, for the kind donation of 53,000 Hats on Day Stickers!